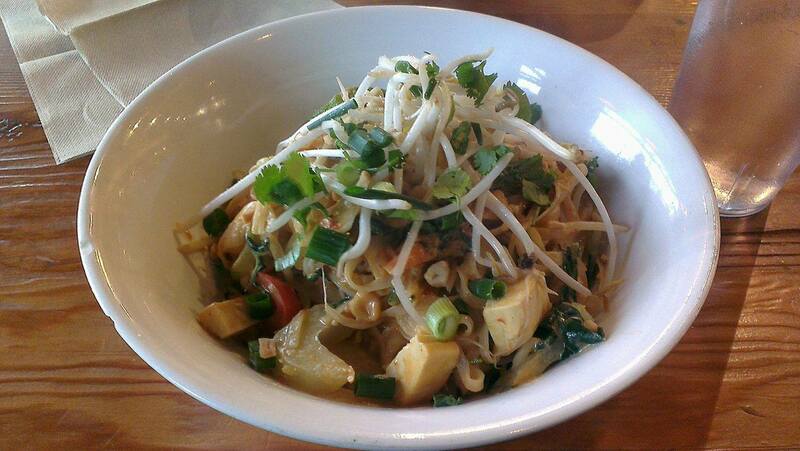 Power up with spicy kelp noodle salad today. Fresh spinach, bell pepper, zucchini, cabbage, carrot & cilantro. Delicious mix! Always #healthy #raw #vegan #dairyfree #glutenfree. Rawmbas: This place is similar to Power House, they have a lot of raw vegan items but are not completely raw. 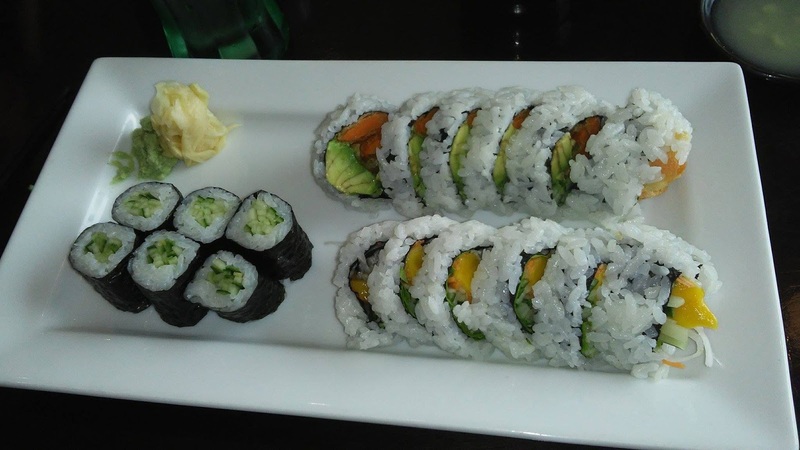 They have many different vegan menu items and all of the menu is gluten-free. They are almost completely vegan as well. They serve cows milk for their coffee but offer non-dairy milks too. There may be other menu items that are not vegan so be sure to ask. If you are looking for a vegan burger that looks and tastes incredibly similar to a beef burger then this is the burger for you. Regardless of whether or not it will fool meat eaters, it tastes great. The fries were fantastic as well. We enjoyed the British pub atmosphere and it was a pleasant meal. From the sounds of it, they have more vegan option in the works at the Coach and Horses. They have a vegan daily special and should have a seperate vegan menu soon! This place doesn't look like much from the outside but don't let the modest exterior fool you. 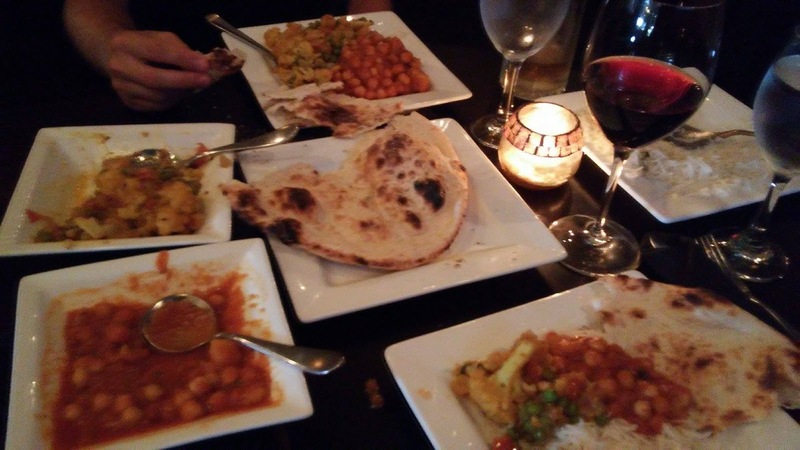 Gateway to India has delicious curries, roti and dare we say the best pakora we've ever had. They sell their pakora and samosas in grocery stores all over Vancouver Island which is what initially brought us to the restaurant. 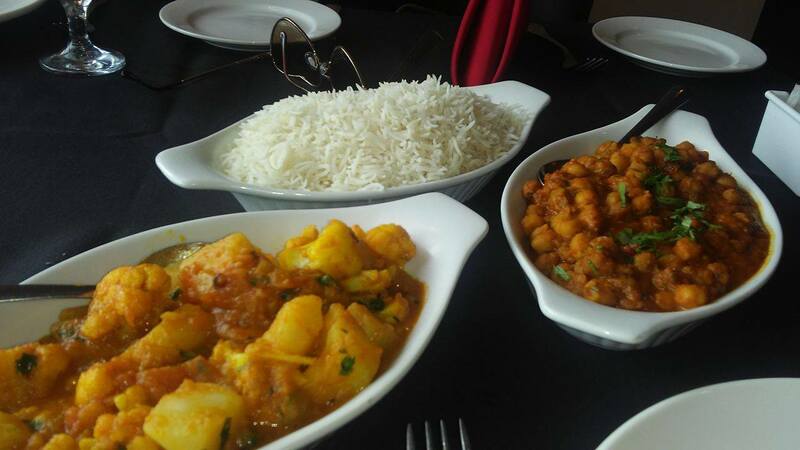 We frequently go here for ttop-notch India cuisine. This is a sushi place that we started going to ever since they first opened. They became more and more popular and expanded. Their success happened for a good reason as they have the freshest sushi with the best rice that we have ever tasted, period. We haven't had sushi anywhere else in BC that compares to Tomo Sushi. They have quite a few vegan options so try some when you are in Nanaimo. This is a cafe that has been around for awhile but more recently has introduced some vegan options. 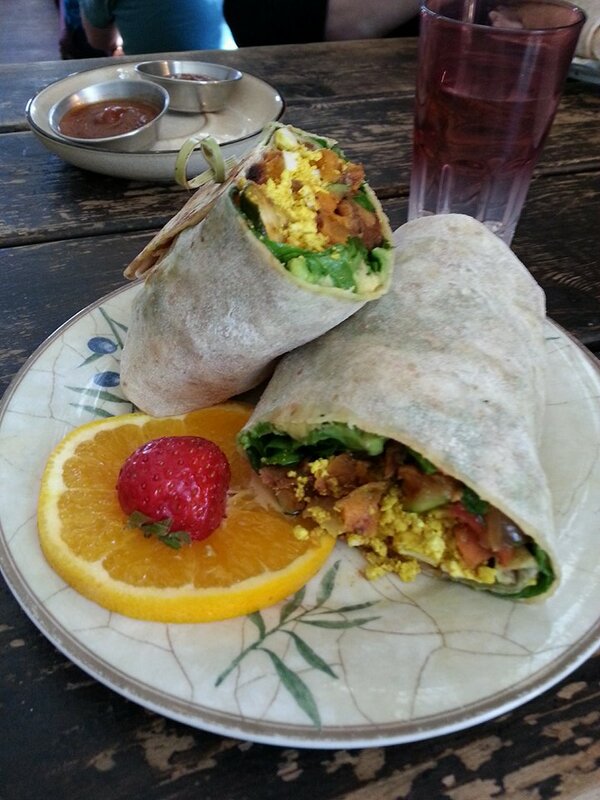 They have a vegan breakfast burrito that is perfect for a nice breakfast out with friends. Vegan breakfast items at non-vegan restaurants are rare so kudos to The Vault for offering a great burrito like this one. 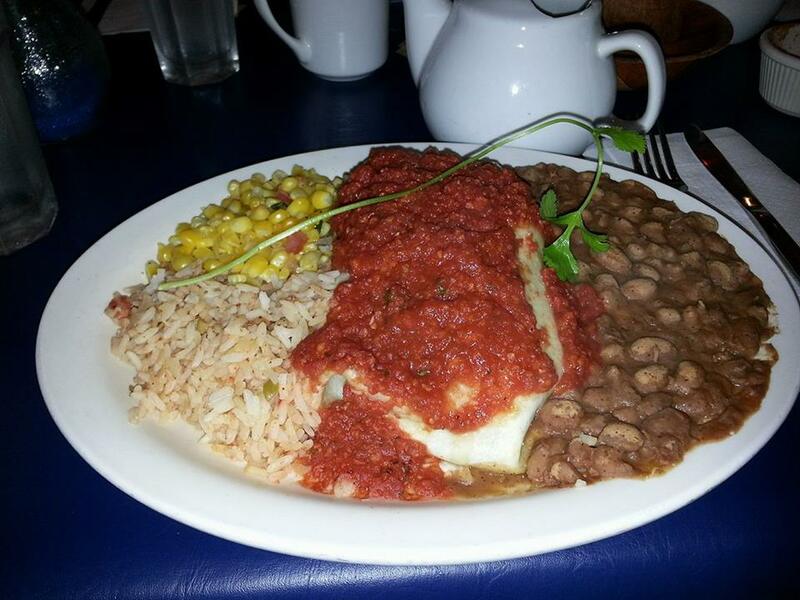 This is an excellent and authentic tasting Mexican restaurant that offers a few vegan options. 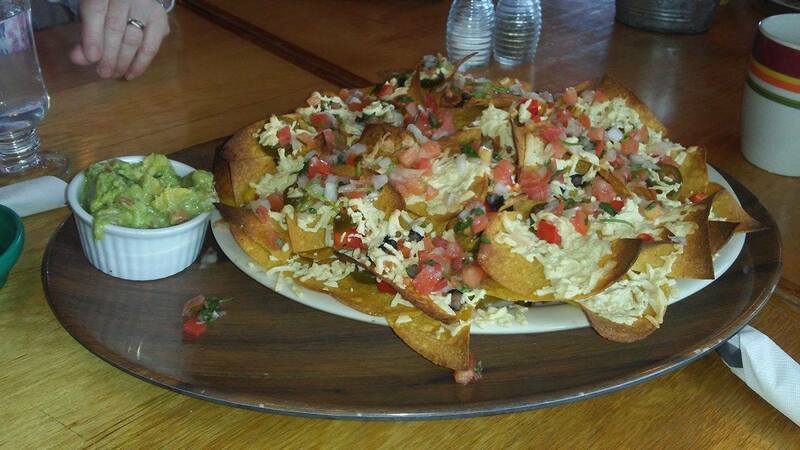 They have vegan nachos with Daiya cheese as well as enchiladas and tacos. Everything here tastes great and you will love the fresh flavours. The service and the food are awesome at Manvirros Indian Grill. A good bet for finding vegan food is to go to an Indian restaurant. 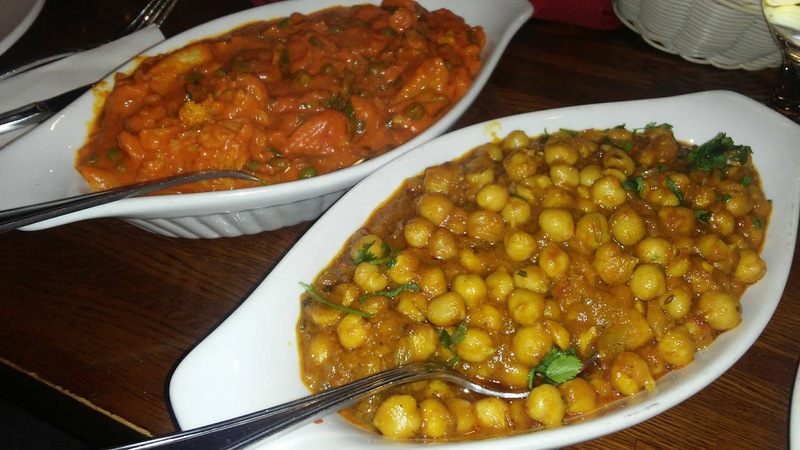 They usually have a vegetarian section on the menu and in our experience, there are often a few curries that are either already vegan or can be made vegan. At Manvirros the Chana Masala, Mixed Vegetable and Vegetable Vindaloo were vegan-friendly. We really liked the Vegetable Vindaloo as it had a sauce with coconut milk that was excellent. This is yet another fantastic Indian restaurant in Nanaimo. Everything we had there was hot and fresh tasting. It had the right amount of spice and the service was excellent too. They were clear of what is and isn't vegan. We are definitely going to have to go to this place again and you should too. This isn't a fancy sit down restaurant. It is just a stall in the food court at Country Club Centre but this place is fantastic. It's also such a bargain. Sorry, but this modest place has to have the best curry that we've ever had. We have cravings for this place all the time and since it is so inexpensive it's easy to give in to those cravings. We call it C.P. "What should we have to eat? CP?" 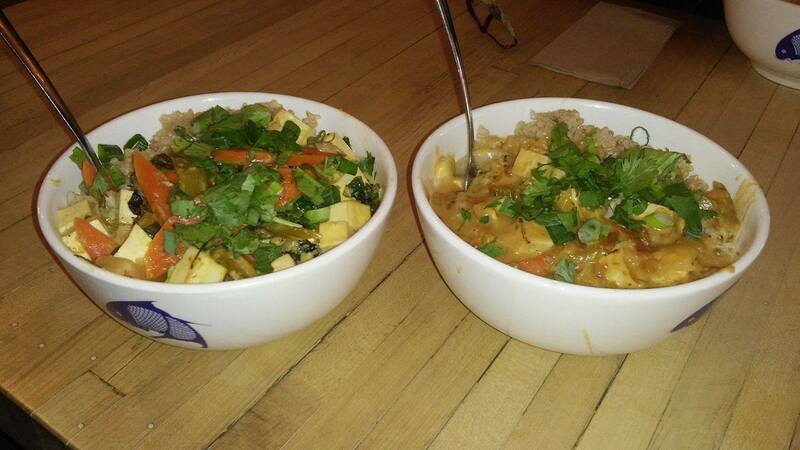 This is a very popular brunch place that has a few vegan options such as the peanut sauce rice bowl. It is pretty tasty and filling. They don't skimp out on the portions in this bowl. This is a great chain on Vancouver Island that had some vegan options. The portion sizes are huge but it is a bit pricey. Chances are you will only need to eat about half of the noodle bowl you get but you'll end up eating it all as it is so good. Tofu costs extra but better than no tofu. This is a reliable, consistent and great tasting place to go when looking for something fast. 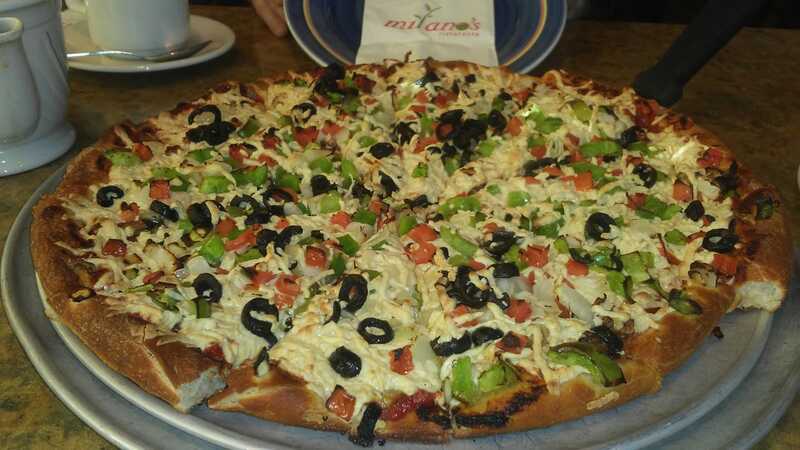 Panago is a big pizza chain in BC and they have fantastic pizza. We both used to like Panago before we went vegan but now that we are vegan we love that they have vegan pizzas with Daiya Cheese and they have vegan pepperoni as well. Also, they do not skimp out on the cheese and they don't charge extra for vegan cheese. Milano's is an Italian restaurant in the North End of Nanaimo. They offer Daiya cheese for their pizzas and pasta (At an extra charge). When ordering your pizza ask for the gluten sauce (As the regular sauce has chicken broth). They also have hummus and pita (Get it without the garlic butter). 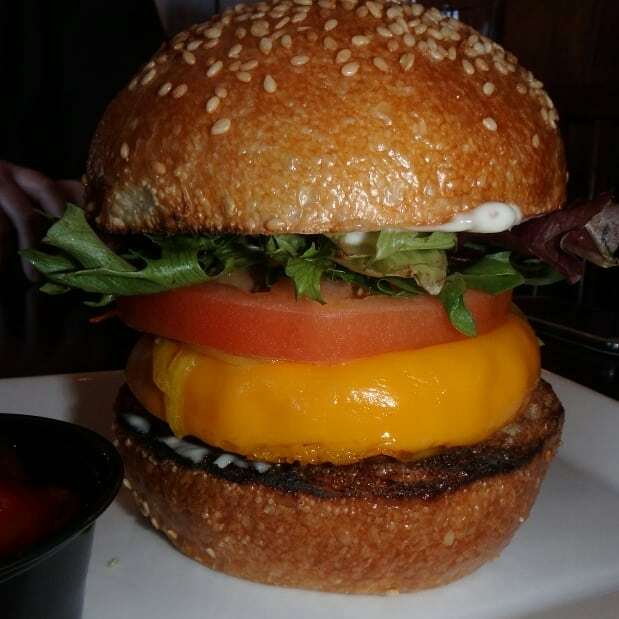 They do have a Vegan burger, but unfortunately, the bun has egg in it, so you have to order it without. 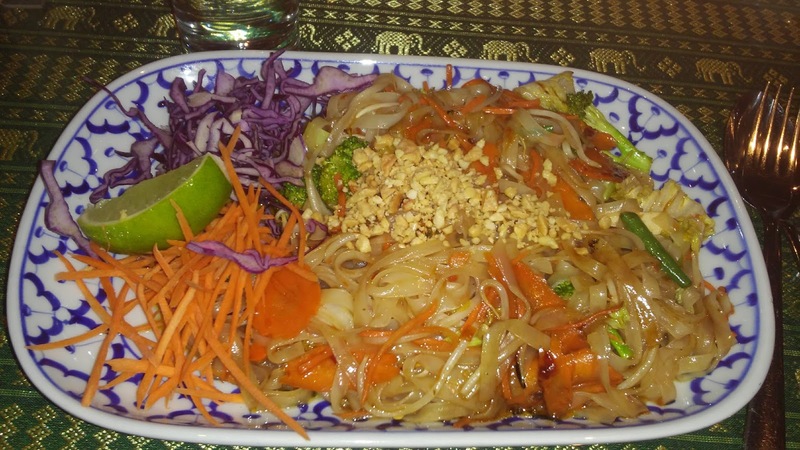 This is a great place to grab some vegan thai food. Their menu states that a lot of their dishes can be made vegan, creating a lot of vegan options. The food is very delicious and the venue itself if very nice. The service is very good and it makes for a lovely evening out. Here is a picture of their pad thai veganised. 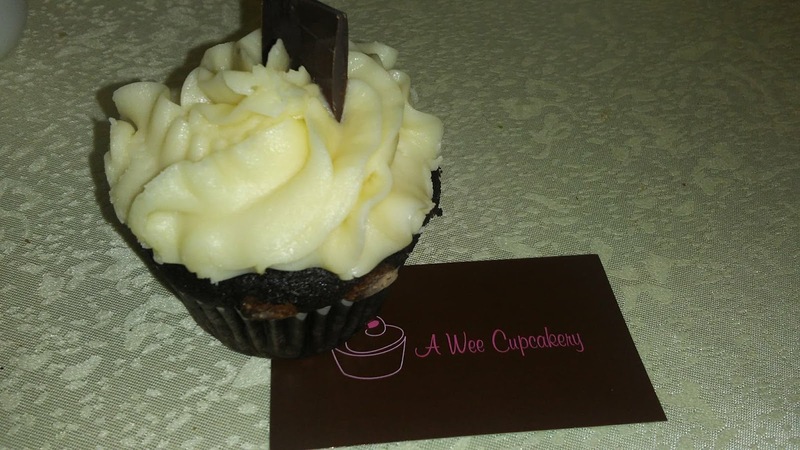 This little cupcake bakeshop has vegan cupcakes! Get there early to avoid disappointment as they sell out quickly. You can preorder though if you know ahead of time that you need some of these delicious cupcakes for an event or something. A lot of the time the vegan cupcakes are also gluten free. These are not all the vegan options in Nanaimo, but it gives you a starting point for finding some delicious meals while you are there. 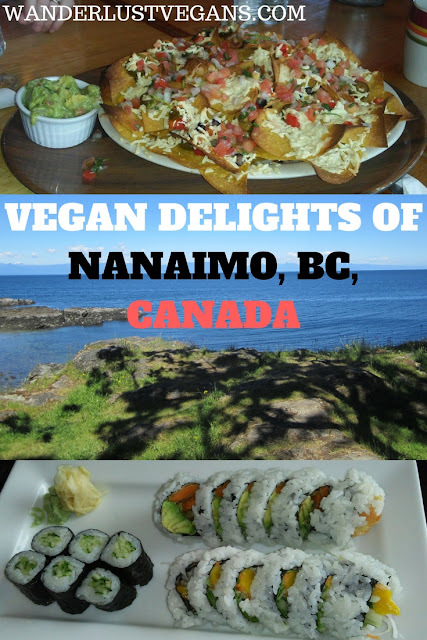 Let us know in the comments below other vegan finds you have for Nanaimo. You can also check out Happy Cow for more options around town. If you enjoyed this post then you will enjoy reading some of our other vegan guides like our Ultimate Vegan Guide to Victoria, BC. Or if you are heading to Vancouver Island for a visit, see our post: Best Places Veganised to visit on Vancouver Island to help plan your trip! Bistro Taiyo is also very vegan friendly. My family and I have been going there for years, they serve vegan teriyaki made to order. They're very helpful when answering questions about ingredients. Always a pleasure to go there, Taka and his team have amazing customer service and it makes it very easy to find many options. Thanks. We'll have to check it out.